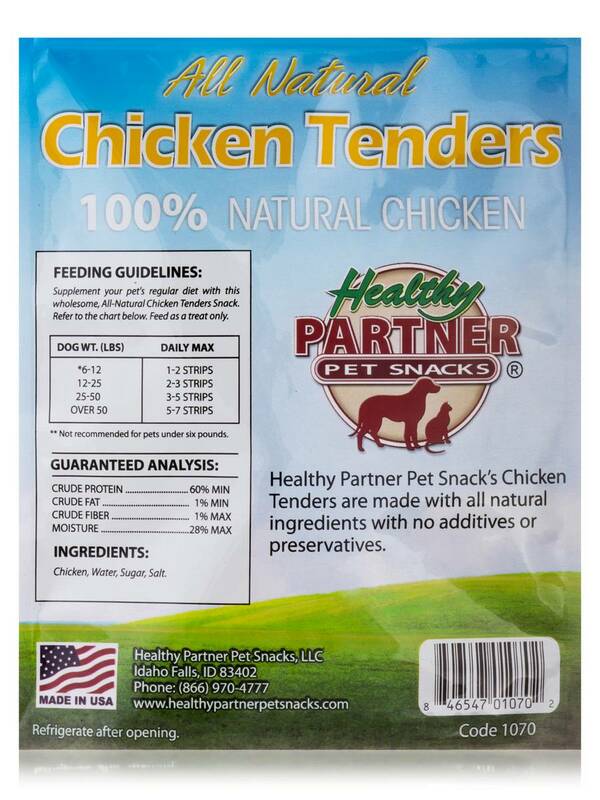 I am satisfied with this Chicken Tenders Bag by Healthy Partner Pet Snacks. My yorky likes it cause she won't just eat anything. Reward your Healthy Partner with Complete Confidence! 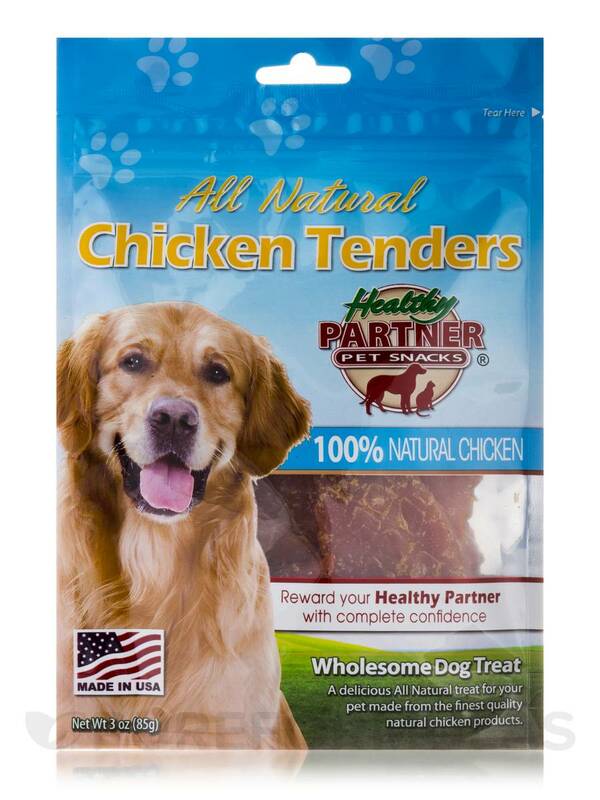 Healthy Partner Chicken Tenders are a wholesome all-natural treat for your dog. All of Healthy Partner Pet Snacks treats are 100% all-natural‚ gluten free‚ with no additives or preservatives‚ and are made in the USA. The main ingredient will always be all-natural‚ delicious meat that your dog will love! Ingredients: Chicken‚ water‚ sugar‚ salt. Supplement your pet's regular diet with this wholesome‚ All-Natural Chicken Tenders Snack. Refer to the chart below. **Not recommended for pets under six pounds. Feed as a treat only. 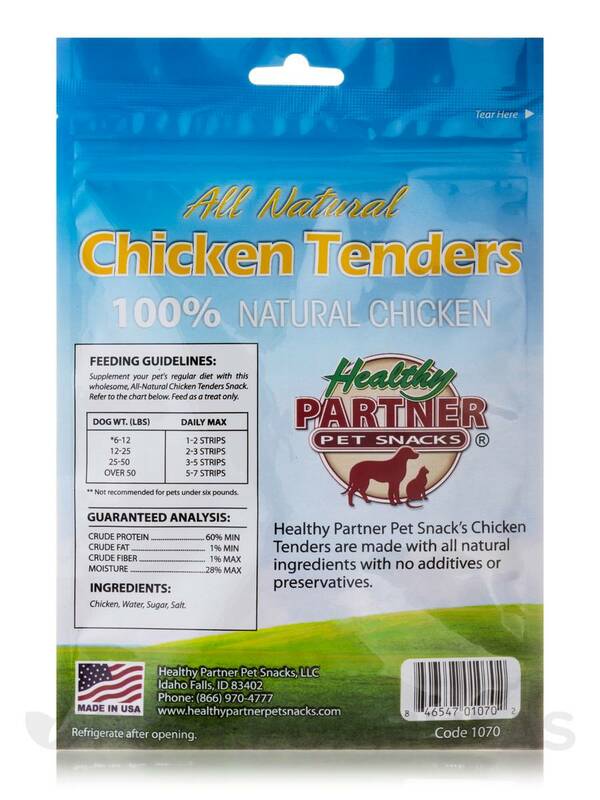 Our dog just loves Chicken Tenders Bag by Health Partner Pet Snacks as he does not hesitate to take it and it is gone in seconds. Pure chicken, nothing else and not made in China. Can not get the product easily.